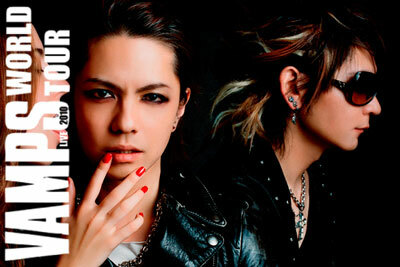 Wanna Win a VAMP Concert Ticket? Volume three of Twin Spica dances with formula, both the patterns it sets up itself and the patterns of its type of story. It steps towards what is expected of it. It steps away, and it steps back towards. Author Kou Yaginuma's talent comes through in affecting moments, and the potential for what this dance is establishing is intriguing. However, without the impact of what came before it and what might come after, volume three itself doesn't catch the manga on one of its more sure-footed moments. 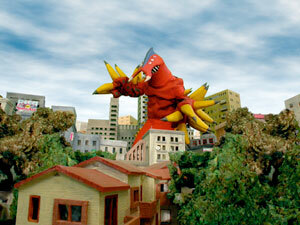 In 2010, Japan's first manned space craft, the Lion, crashes into the city of Yuigahama. Though one of its victims is Asumi Kamogawa's mother, the small girl grows up with the aim of being a "rocket driver." Towards that end, she manages to overcome physical and finical hurtles to make it into the program set up to train a new generation of astronauts and space scientists. 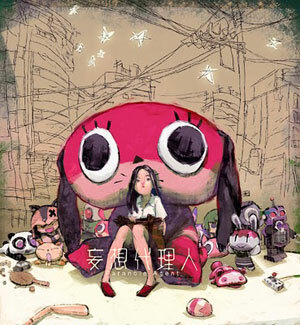 At least in the manga's early going, its appeal seems build on its presentation of a small, sympathetic girl with the big, significant dream. Despite its cute simplicity and what could be thought of has pan age/gender appeal, it is worth acknowledging that Twin Spica was written for the older-male audience reading the anthology in which it was serialized, Comic Flapper. What it offers that audience is a counterpoint. They may be slogging their way through school or work, and might question the purpose of that effort, but here's a wide-eyed dreamer laboring towards a ride into space, something anyone can acknowledge as big. Though it’s more near future and hard sci-fi-ish than most, Twin Spica isn't blazing a trail into untread ground with its girl in space academy premise. The setting works well with the pursuits that drive many manga stories. In volume three, the overlap looks less superficial that it previously had. The running away, the gathering of a cadre of students, and the revelation of their secret pains that moves this volume are familiar steps. In its own domain, Twin Spica has waltzed back a bit. Asumi's entrance into the space academy didn't rework her relationship with her lion masked astronaut ghost mentor as much as it appeared to have in the last volume. Furthermore, the manga has increased its establishment of how the parameters of Asumi's world were defined by the Lion tragedy such that it’s not longer just an emotional background. Movement along these patterns does not signify that Twin Spica has become predictable. Some of its developments in volume three were what might be expected, while others went against expectations. What they have done is recast the manga. Where once it seem built around Asumi and her dreams, it now seems less strictly concerned with those hopes. I thought that the appeal of Twin Spica, at least to the Comic Flapper reader, was the opportunity to get caught up in the little Asumi's big dreams. With newly broadened attention to the hopes and pains of others, the way that Twin Spica has filled in its context has defused that presumed appeal. With these shifts, Twin Spica has lost some of its center of gravity. 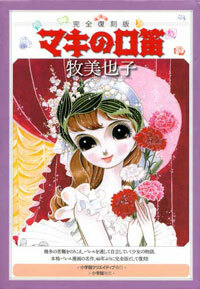 Vertical commented to the effect that the manga is particularly tightly plotted. However, if it is going to become plot driven, it certainly hasn't yet. With some revelations, but not a lot of resolution, the manga isn't teasing something big. Kou Yaginuma has done more to develop faith that the manga is going somewhere than intrigue or anticipation to see where exactly it is going. There's a scene in the volume in which Asumi's lion masked ghost astronaut guide is confronted with what might have been had he not died in a rocket crash. His face is hidden by an amusement park mascot-like head piece, so you don't see his expression. In the from the knees upward angle panel illustration, you do see a bit of chin, and that small reminder of his humanity is powerful. The subtly is quickly blown, because turn a page and you see the outline of his face under the mask as he weeps, but that initial panel stands as an indication of how Yaginuma can get to Twin Spica's readers. It's been a while since I've read any non-manga school based stories. Still, from what I recall of them, the affecting scenes in Twin Spica measure up well against the prose classics. The best bits of scholastic friction in Twin Spica rank with Chocolate Wars, but it does have some potent resonance. There is definitely an ends in mind... getting to space. In this volume, Kou Yaginuma's talent and that goal aren't aligned. 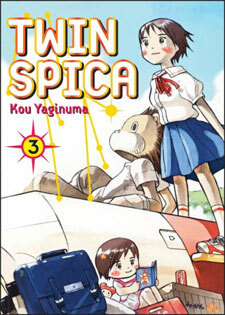 Fine, if it’s building needed context, but in volume three, Twin Spica lacks the clarity that makes the series compelling. Asumi needs to drive Twin Spica and not just be a point in a constellation of dreams chased and lost. The "expect the unexpected" cliche holds true for Gantz, so maybe the manga is going to submerge itself into some conceptual sci-fi exploration at some point in the future. That said, I'd bet against it. I think it's safe to assume that the science fiction of Gantz is a conceit that allows for its projection of shooting based video game action into urban environments. That the scant explanations were nebulous, arbitrary or unfair fed the manga's reflection of its unhappy teen lead's attitude. Early Gantz looked like it would be commenting on its teen lead's narcissistic sense of entitlement as it brutally sent up the notion of fulfilling the reader proxy's wishes. Abandonment of this commentary is a function of how the manga has developed. Gantz is like a person who says some provocative things after a few drinks. At that point, I thought that Gantz may have had something interesting to say. And, if someone found it distasteful, I would have suggested that they stick with it and see where it went with that provocation. But, then Gantz continued to pound and proceeds to get spectacularly messy drunk. In volume 11, it walks into its new, blue season fully inebriated. It's now stained by its divisiveness such that a guiding suggestion has become easy to formulate. If watching screaming violence is to your liking, hang on. If it isn't, stay away. Exemplifying where Gantz has gone, volume 11 features a jaw dropping racially charged development. Skip the next paragraph if you'd like to avoid spoilers. Gantz frequently relies on sideswiping its reader, so it is a manga particularly effected by knowing what's going to happen. That said, this is a particularly revealing set piece in the manga. Gantz's hero Kei Kurono thinks himself better than the dull population around him, but though he occasionally shows promise, he's a typical malcontent teen. In contrast, new rival Shion Izumi, is handsome, magnetic and accomplished at everything. Dissatisfied with mundane accolades, Izumi wants in on the savage goings-on that have turned Kurono's life into a mortally threatening video game. To be topical, you know how in the Boston Tea Party the protesters dressed up as Native American's before dumping the tea? Well, tall athletic Izumi wanted some attention, so he put on black face, packed an arsenal of guns and shot up Shinjuku. Gantz aims to be charged, and I get the impression that the way the shoot out was staged as slightly naughty from a Japanese perspective. It's pretty inflammatory from an American one. If Gantz were a person, more than an adolescent yelling the racial epithets on video game voice chat, I imagine its antisocial defense would be along the lines of "I'm not racist, I hate everybody." 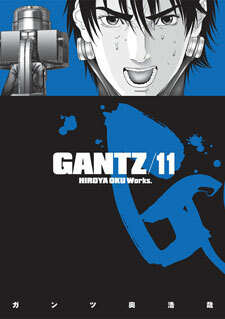 In its blue phase (named for the cover motif) Gantz dials up its trangressiness, pasting itself with exploitation. The semi-dress women in the pin-up shots employed as chapter title pages are now naked, featuring the likes of a woman who is pretty much Lupin III's lust interest Fujiko Mine (whose name is a Bond-ish pun on her mountainous chess) appearing wearing only the latex gloves with which she grasps a sci-fi pistol. It's not that I find Gantz's political incorrectness appealing. When I'm feeling charitable I chalk the offensiveness up to the product of the damn the torpedoes approach that sees the manga drunkenly throwing punches every which way. 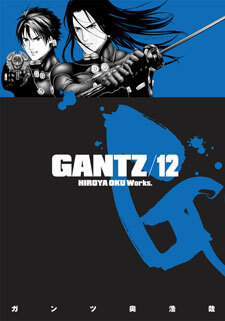 I'm aware that I'm amorally leaning towards a bit of sensationalism in my appreciation of Gantz. Wrong headedness in genres that I don't like or toward which I am indifferent can drive me up the wall, and I might have expressed some righteous indignation if I didn't find Gantz entertaining. If Gantz were only getting more indefensibly offensive, I'd be inclined to write it off. But, the manga's action has hit a similar drunken pitch. As it's moved away from the earlier apparent genre/power fantasy commentary, its largely stopped drafting conventional demographic slices into its alien hunts. By volume 12, it has begun engaging in fight booking along the lines of introducing a colorful human combatant, setting them up to fight some soon to be unveiled monstrosity. There's intelligent, violent Izumi; there's a guy who is basically Ryu from Street Fighter; there's a pair of psychics who developed their powers to kill the people brutally bullying them. And in this outing, that crew deals the most dazzling dinosaur smackdown since the lizard-man MMA match in the opening episode of Neo Getter Robo vs Shin Getter Robo. As a fan of sensational action, all is more than forgiven when Izumi takes a sword and stares down a bipedal triceratops or psuedo-Ryu calmly side steps a velociraptor, gets it to the ground and throat punches it. That's championship grade action manga material there. 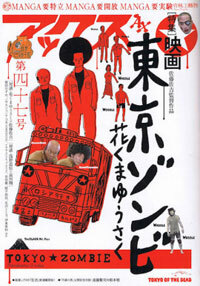 Serialized online at http://www.sigikki.com/series/saturnapartments/index.shtml Before creating Akira, Katsuhiro Otomo worked on the psychic horror Domo: A Child's Dream, in which a young girl with telekinetic powers faced off against an old man whose mind deteriorated into a child-like state. What complemented the deranged threat to make the manga chilling was its sprawling "rabbit hutch" apartment complex setting. Every scene was claustrophobically framed by the concrete and windows of the housing project. Neighbors were everywhere in the tightly wound social ecology. Not a traditional haunted house, and not simply a place to live, the apartment complex had its own imposing presence. Minus the psychics, Saturn Apartments imagines this has a future for our species. In order to allow Earth's environment to recover, humanity has emigrated to an artificial satellite orbiting 35 kilometers above the planet's surface. It's tellingly described as an "apartment complex" that residents are born in and never leave. Organized by social order, the cylindrical environment is class stratified, with the working class living at the bottom, the upper class living at the top and the middle as public space, used for functions like schools (which do require tuition). Mitsu's mother died shortly after his birth. His father died on the job, working as a window washer. 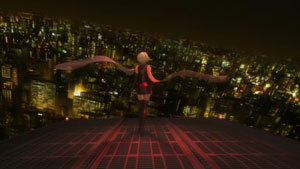 Encased in a protective suit, scrubbing the satellite apartments; exterior, Mitsu figures that his father became transfixed looking at the Earth below, cut his tether and gave up. 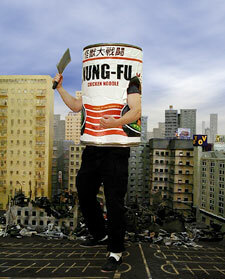 Still, upon graduating middle school, Mitsu follows in his lost father's footsteps, taking work as a window cleaner. 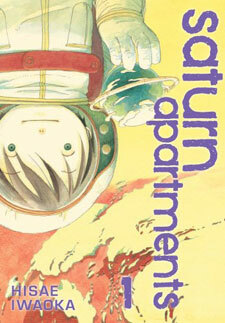 To place Saturn Apartments in the constellation of working-person sci-fi manga released in North America... compared to Sebastian Junger-ish Planetes, about a crew employed removing orbital debris, Saturn's muted view of the science and especially the personalities contrasts with Planetes' hot-head peppered cast. There is tension in Saturn Apartments, but even at its most pronounced, it's at some contemplative remove. At the other end of the spectrum, there's Aria, an almost pastoral about a girl who aspires to be a gondolier on a terraformed Mars. 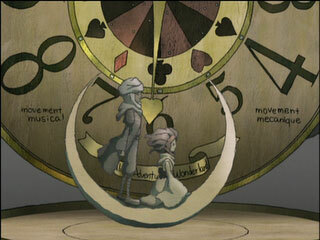 In the case of Aria, the calmness is the manga's raison d'être. With plenty of people looking after Mitsu, Aria and Saturn Apartments overlap in their sense of community. Both are concerned with work. Both are also more involved with living than struggle. Yet, Saturn is more concerned with working through reconciliation than the small pleasures that drive Aria. It might not be ostentatious, but Saturn Apartments’' residents are grappling with finding the meaning of their work. Though Saturn Apartments’' vision of the future is stylized, it isn't idealized. Mitsu is engage in dangerous, dirty work. He enters the occupation knowing that it could cost him his life, and winds up mostly trying to please the finicky well-to-do's on the upper levels of the complex. Though not the subject of consternation, the social stratification of Saturn Apartments is neither just nor is it a meritocracy. Defined by location and look, Saturn Apartments is quiet, low key, and most importantly, situated at a Small, sad remove from Earth. Creator Hisae Iwaoka is part of the superlfat art movement, with her “Tokyo Girls Bravo” exhibit curated by the much talked about pop artist Takashi Murakami. Superlat ideas about what lies beneath cute design inform Saturn Apartments. Iwaoka's child or dolls like characters are simple and charming, but still able to express complex sadness. The reaction provoked by this stylization is as significant to the manga has its views of the planet Earth filling the horizon from outside the colony. Speculation about how humans might relate to living in space has proven to be fertile ground for manga like Saturn Apartments. As much as the narrative explores the sentiments and lives of Saturn Apartments' residents, the way in which those people are illustrated speaks volumes. 7 Billion Needles... maybe it was some failing that I didn't figure it out earlier, but once the title's meaning became evident, it became pretty brilliant. On a clear night, Hikaru Takabe, an orphaned teen girl with a 10,000 mile stare and headphones nearly constantly affixed to her ears, wanders out of her room on a stroll to the beach. As she wades into the water, the serenity is shattered when a meteorite miraculously changes course to collide with the girl, designating her body. Cut to a school room scene. Hikaru is staring out the window, occasionally giving the ticking clock a glance. She begins experiencing odd stimuli, making her sensory relationship with the world as strained as her social relationship. Then, she begins hearing voices, informing her that she died; that an alien with, well... alien biology, had to bond with her in order to preserve her life. But, Hiraku's symbiot isn't the only extraterrestrial that made its way to Earth. The other is more parasitic, using its host to kill, and kill until it wipes out the population around it, potentially causing mass extinction if left unchecked. Hiraku's alien frames the relationships in another way. Hikaru, must help the police officer alien Horizon locate and apprehend the criminal Maelstrom before the latter begins its assult on humanity. 7 Billion Needles is based on Golden Age hard sci-fi writer Hal Clement's 1950 novel Needle. That's no secret. It's printed on the back of the book. Saying that a work recalls a classic is another way of saying that it's premise is nothing new. Sci-fi from various traditions have had configurations like this one. In manga, there's Parasyte, about an alien spore that is supposed to bore into the brain of a teenager, but, because the target fell asleep with headphones on, wound up in his hand; and there's Birdy the Mighty, about a female, intergalactic police offer who accidentally kills a teenage boy when transporting to Earth, then revives him in such a way that they can swap bodies. Informed by Hal Clement's original, 7 Billion Needles has its own approach to the material. Reading the manga, I found myself not so much thinking about the other manga that it resembled as I was the novel. Despite significant differences from Clement's, knowing 7 Billion Needles was an adaptation infected me. The ways in which the manga plays with perception, senses, and connection with alien intelligence are the ways in which sci-fi writing is made interesting. I couldn't stop thinking about how it would work as prose. When Hikaru starts feeling disconnected to her body, or reacts to the grievous damage that bodies takes, I couldn't help but consider how Hikaru's experience would be related in prose. 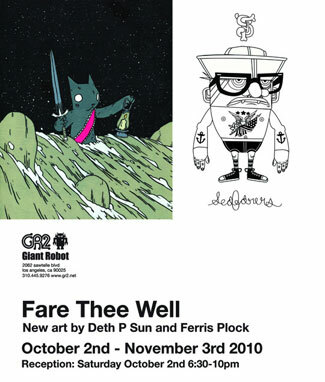 A few big spectacle shots started to cure me of that mental re-engineering. A bit of bleeding, a person bisected by a clawed kick, some shots of dinosaurs framed by lightning strikes, and I'm thinking more visual driven sci-fi media. My perception shifted again upon introduction of the turn that Hikaru needed to start talking to her classmates in order to ferrit out who was hosting Maelstrom. Teenage personal issues projected onto a sci-fi struggle.. that engagement with the lead's social avoidance finally slapped me into manga-thinking. This is a title from Comic Flapper, that specializes in collecting series that explore subject through female leads, written for male readers (Twin Spica, Translucent, Dance in the Vampire Bund). Describing 7 Billion Needles like this makes it sound like it was built from distinct elements. However, thinking back on what I read, those impressions merged. 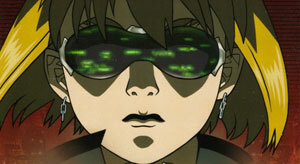 It blended novel-style concept driven sci-fi, movie style spectacle and manga style approach to teen concerns. And, that multi-media mix of qualities became 7 Billion Needles' own strength. On one hand, 7 Billion Needles' manga/science fiction formula is one with the potential to keep its audience mentally, viscerally and emotionally engaged. On the other, it doesn't manage that to the extent that the series becomes one of the more urgently involving that you'll read. Working with a spacey, distant lead can be tricky, but, the barrier really keeping 7 Billion Needles away from being a hit is that execution in matter such as its illustration are often only as good as they need to be. It becomes noticeable when panels in which nothing essential happens are rendered with inexact propositions. Still, even if you're unlikely to be marking the days until the next volume's release, the manga's first volume balances out to be grabbing enough. 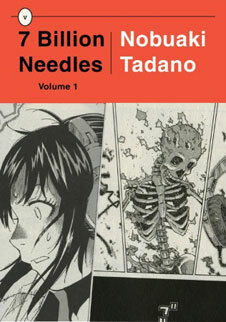 Especially considering that 7 Billion Needles wraps up in a relatively terse four volumes, few readers, regardless of whether they preferences are based in manga, sci-fi or more general, will be disappointed. Star Driver Kagayaki no Takuto Bakuman Arakawa Under the Bridge Mamoru Oshii's "28 1/2 Mousou no Myojin"
Del Rey It remains to be seen if Del Rey will be releasing any manga after November. Listings are hinting otherwise. More commentary here/ Image Entertainment Image Entertainment has picked up the rights to previous Sony Pictures licensed Cowboy Bebop: The Movie (the animated, Knockin' on Heaven's Door). The 12/7 release is priced at $14.98 NIS NIS America has released the second collections of the anime with which they entered the North America anime market, Toradora! and PERSONA - trinity soul- Right Stuf Anime producer and online retailer Right Stuf, Inc. and its Nozomi Entertainment division have rescheduled the release of the GRAVITATION Complete DVD Collection to January 4, 2011. This new release collects both anime adaptations of Gravitation – the 13-episode television series and the 2-episode OVA series – together for the very first time. The set will feature remastered Dolby Digital 5.1 English audio, plus Dolby Digital 2.0 English and Japanese audio options, and English subtitles and on-screen translations, and it will be housed in a thin-profile, collectors’ art box. VIZ Media VIZ Media, LLC (VIZ Media) has announced the launch of a new series from creator Kaori Yuki. 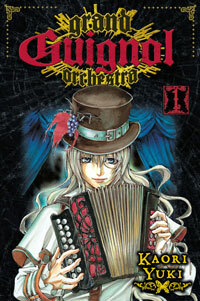 Her latest series, GRAND GUIGNOL ORCHESTRA, will be published under the Shojo Beat imprint, is rated ‘T+’ for Older Teens, and will carry an MSRP of $9.99 U.S. / $12.99 CAN. The series debuts on October 5th. Lucille loves heading up the traveling Grand Orchestra, roving from town to town, entertaining the masses and making money. But now the musicians have met their toughest audience yet: people infected with the Guignol Virus, turning them into zombie dolls intent on killing all humans! Panchinko makers Oizumi has acquired anime studio Anime International Company (AIC) - makers of Tenchu Muyo, Bubblegum Crisis. As of September 30, Oizumi acquired 3,800 shares or 95% of AIC for 530 million yen from the ACA-managed investment fund MCP Synergy. The remaining 200 shares or 5% of AIC is owned by the TM Company, and AIC will buy back those shares on that same day. * Superflat pop artist Takashi Murakami has had a rough year ArtPrice reports that only 223 of his pieces were brought to auction during the year ending in June 2010, and only nine brought in more than €100,000. None hit the seven-figure mark.